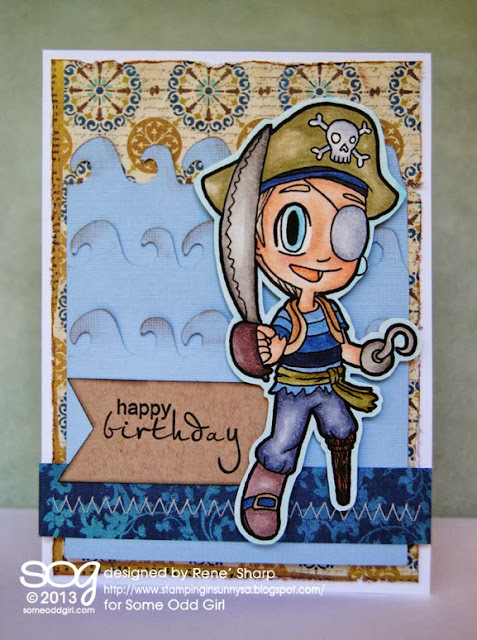 Hi friends, just a quick post to share a card I created with the newly released "Pirate Tobie" digital image from SOME ODD GIRL. 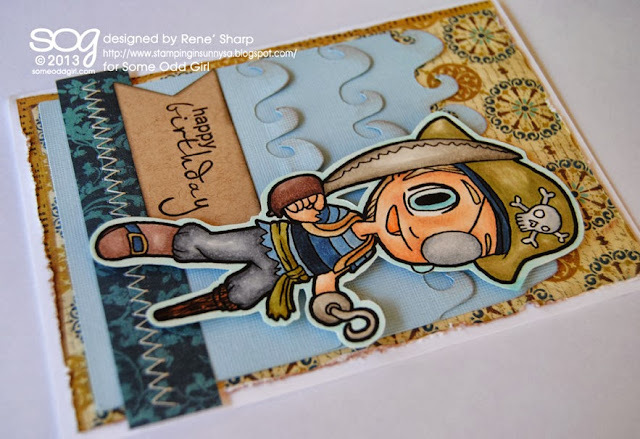 I absolutely LOVE this little guy and know I am going to use him lots on boy cards!! You can purchase him HERE. I also used the newly released "layered waves" cut file on my Silhouette, isn't this just such an awesome combo!?!? Yesterday Kristy and Leah, from SOME ODD GIRL announced the new SOG DT members, and I was on the list as one of the main gals at the Ning Site. It really is a wonderful community, it would be great if you could join us, HERE! 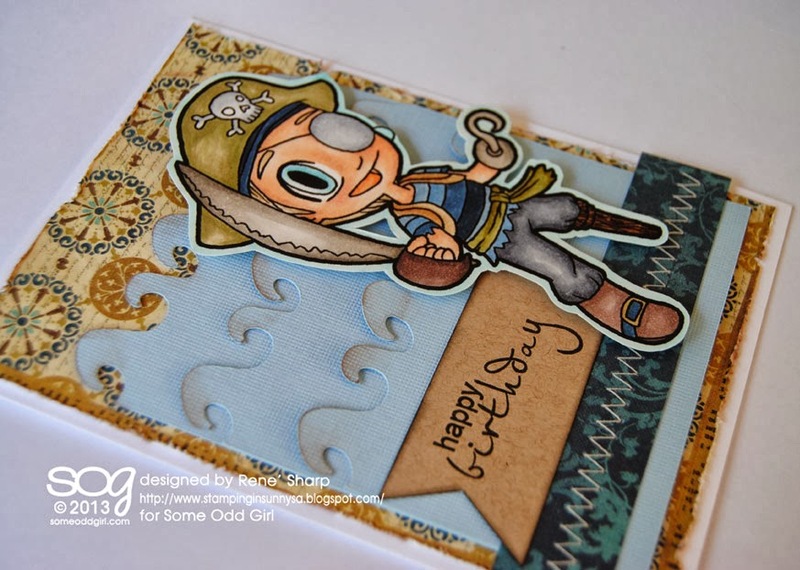 Love your Pirate Tobie card! Great coloring and those waves cut files are perfect for this card!! Love the way you colored this image Rene, and the waves are so cute in the background of your card! Oooooh...he's a cutie! Love your whole pirate "scene"! Congrats on your new DT gig and enjoy your term with SOG...love their images! Love your coloring Rene. Hope to learn a lot from SOG.